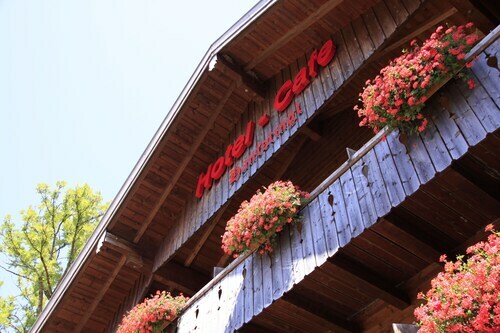 Located in Bad Tölz-Wolfratshausen, this hotel is 10.7 mi (17.1 km) from Lake Starnberg and 11.8 mi (19 km) from Bavaria Filmstadt. Hellabrunn Zoo and Nockherberg Paulaner Brewery are also within 20 mi (32 km). Popular with both business and leisure travelers for its convenient location, the rich in tradition Eden Hotel Wolff sits opposite the train station. Guests can also visit Viktualienmarkt outdoor market, Marienplatz, or raise a glass at Hofbräuhaus beer hall; both are a 20-minute walk away in the Old Town. 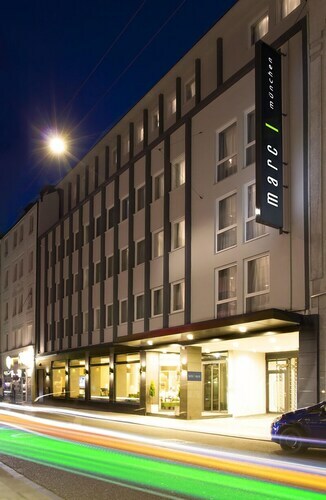 Located in Munich City Centre, this hotel is within a 15-minute walk of Karlsplatz - Stachus, Church of Our Lady (Frauenkirche), and Marienplatz. Hofbrauhaus is 0.9 mi (1.5 km) away. Central U-Bahn and Karlsplatz (Stachus) Station are within a 5-minute walk. 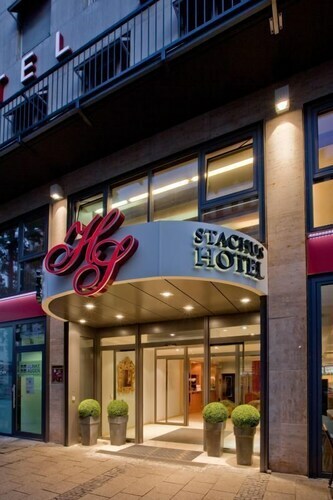 How Much is a Hotel Room in Egling? Hotels in Egling start at $98 per night. Prices and availability subject to change. Additional terms may apply. Egling has only one accommodation option. So if you're hoping to stay close to Egling's main area, make reservations early. The closest Travelocity-listed accommodation option is the Mandarin Oriental München, Upper Bavaria, 15 miles (24 kilometers) from the urban core of Egling. Another easily-reached choice is the Hotel Bayerischer Hof, located in Upper Bavaria, 15 miles (24 kilometers) from central Egling. The Rocco Forte The Charles Hotel is situated 15 miles (24 kilometers) from downtown Egling. Also, the Hotel Vier Jahreszeiten Kempinski München can be found 15 miles (24 kilometers) away. The Althoff Seehotel Überfahrt and also the Hotel Koenigshof are alternate accommodation options worth checking out in Egling. When you have some spare time, you might like to explore more of Bavaria. Visit Bavaria's castles and traditional villages. Those who love nature could also put aside some time to admire the region's forests. Visitors and locals alike in this area of Germany can enjoy snowboarding. Looking for things to do? Spend the day enjoying Klinikum Grosshadern and Old Botanical Garden, in Munich Central Station, 15 miles (24 kilometers) north of Egling. 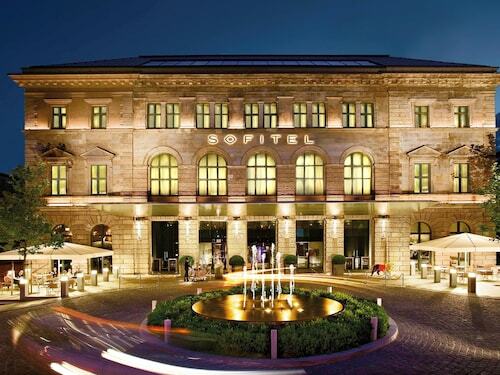 The Louis Hotel and Asam- Ihr Stadthotel are just a handful of the Travelocity-recommended short and long-stay choices in Munich Central Station. Or, stay the night in Dachau, 25 miles (38 kilometers) north of Egling, where you can choose between the Hotel Central Dachau and Hotel Palazzio. The Dachau Concentration Camp Memorial and Dachau Palace are other frequented points of interest to see when you're in Dachau. Consider spending an afternoon hanging out in the company of local lovers of sports at a local match. You can find Allianz Arena 20 miles (33 kilometers) to the north of Egling. Modern visitors that want to find a Travelocity-listed room near the stadium can read about the Munich Marriott Hotel or the The Rilano Hotel München. If you are traveling through Franz Josef Strauss International Airport, you may choose to book a room at Hilton Munich Airport, or Sheraton Munich Airport Hotel, which are both a short distance away. Location was great in central area close to lots of underground shopping with wonderful food and favorite Swiss chocolate ( Laderach). Staff was so friendly and helpful. Breakfast was nice and so was wait staff! The staff were excellent and the rooms clean. The location is a short walk to attractions. The property oversold so my room was given away. Luckily they rebooked me to another hotel, but when you arrive at 9PM, it's sometimes tough to have to change hotels. I wish I would have gotten a discount or at least some credit back. Nice hotel very close to the main train station. Area on the way to the hotel seemed a little run down but the hotel itself was clean, and safe. I would gladly stay there again on a future visit to Munich. Charming boutique hotel inside the gates of the beautiful old city. This hotel is the best of the best for so many reasons. Great Staff, the best Location possible and they treat you like you are the only guests in the Hotel.